In paradise the water was pure and clear, life was abundant, light was plentiful and humanity saw God face to face as they walked with him in the cool of the day. But it was not to last. Soon the serpent began spinning his lies and a curse fell upon the earth, and things were not so good. The waters were muddied with sin; darkness descended upon the earth, sinful humanity was separated from a holy God. If you are not familiar with this story, the first three chapters in the Bible from the book of Genesis set the scene and the story for all of the pages that come after. This summer we have used water as our thematic element and today we look to the living H2Oh that flows from the throne of God in the new Jerusalem of heaven. Earlier in the service you heard the words, “There can be no life without water.” This is literally true for our physical bodies. Back in the Garden, Adam and Eve delighted in the presence of God, face to face. They had everything they needed. They were well watered, well fed, well taken care of. They drank deeply from the well of living water as they were in the presence of God himself. Dehydration was not an issue. Spiritual dehydration would soon set in, & death would be the result. The world’s first snake oil salesman began his destructive pitch to our first parents and the curse descended upon creation. Under the curse, we all actively seek not to drink deeply from the living water of Jesus Christ but to sip seductively on the snake oil of Satan himself. We become dehydrated and lured into a false dependence upon a perceived elixir that promises salvation. The term “Snake Oil Salesman” for most people brings to mind notions of a “charlatan”, the “huckster” who, in years gone by was noted for his peddling of worthless wares and quack remedies that made all manner of health claims. The salesman’s character was that of a fast talker who with a certain twisted charm and verbal misdirection, could convince the consumers that his medicinals were capable of curing all manner of disease or for that matter, regain lost youth or grow hair on a billiard ball. The devil is a true charlatan, a huckster who makes his pitch to sell you a lie. There are two main snake oil recipes that tempt us daily. They are the same ones used in the garden, doubt and deception and they bring about spiritual dehydration to us today. Under the influence of the snake oil we, like generations before, doubt that God can do what the Bible promises and are deceived to believe that we can do it all ourselves. A few sips of this elixir are believed to be a cure-all. By our own efforts and strength we can get through the trials of life. The headache and pain that comes with spiritual dehydration will be gone. When something ails us, just work a bit harder, do a bit more, a sip here and a sip there and the destructive deception and doubt decreed by the devil begin to direct us to distrust and do things our way. Just a cursory look back on your life and you will find times when you sipped the snake oil with good intentions yet sunk into greater despair and spiritual dehydration set in. The curse of sin becomes all too real when we see that we have no control. Death and disease, heartache and pain, the stillness of the grave awaits those who have given in to sly words of the original snake oil salesman. We are all under the curse. Scripture tells us that there is no one who is righteous, not even one. But as the Spirit carried the writers of scripture along, we begin to see that God has a plan. There was a plan to crush the head of the serpent, to reverse the curse of the garden; to point to a way beyond human imagination or intuition and to Living H2Oh! The Spirit of God hovered over the waters at creation, living water from a rock provided for the people of God wandering in the desert. The soul quenching water of God is described by the Psalmists, and the Prophets, and was promised by Jesus himself to the woman at the well. This same water is offered here to you this morning. That water comes to you as you hear the word, as you study scripture. It comes in the waters of baptism and the life giving meal of bread and wine, His body and blood. This living water is pure, it is clear as crystal, and assures you that you are forgiven and heaven is yours in Christ. On the cross, the snake oil salesman has been crushed; doubt and deception have been replaced by hope and happiness. On the cross, Jesus took our place, died for our disobedience, but rose again to secure salvation. The prince of this world tries to convince you that eternal hope is a sham and that this sad world is all there is. In the face of the deception of the devil, Jesus assures us the reality of our eternal home. A paradise without darkness or night, where grace flows down like a river, where we are fed with the fruit that will heal the nations and where the curse will be eternally reversed and we will see God face to face. One day we will drink deeply from the river of life in eternity, but that does not mean that we are left to fend for ourselves until that day comes. Here in this place is an oasis of grace; forgiveness of sin is offered freely and abundantly, the life giving water is poured out in baptism, consumed as the Word is proclaimed and lavished upon you at his table. Here in worship, we, like John, catch a glimpse of heaven and experience life giving water. In this place you can rehydrate and have your sins washed away. So, when you are feeling spiritually dehydrated, when you are tempted to sip on some snake oil, come to the water, the living H2Oh! In Christ, Living H2Oh is yours, now, and in eternity forever. And that is very good. I came into the office today and I was greeted with ants!! Tons of them just walking around my desk. There was no point to it. I had no food for them to get, they were not organized in a line going to or from some sweets, but they were just there. It seemed to be meaningless. It reminded me of the book of Ecclesiastes that we read in its entirety this week. Those ants lead meaningless lives at times, but God created them for a purpose. There are people who live meaningless lives in our world today. Many do not know the joy of Jesus or the wonderful grace that comes through him. As we study this book today, don’t forget that this topic is just as relevant today as it was when Solomon wrote it. Let’s start with a few last comments on Job before we jump into Ecclesiastes. . 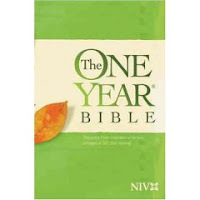 I will be honest with you, I never read the whole book of Job until my first journey through the One Year Bible. I had heard the stories and knew the basics, but I never actually read the book straight through. Job is a hard book to wrap your head around. Does God really want us to suffer? Is it OK for us to be mad at God? These are rough questions. In my final analysis, God is a loving God who does not give us anything we can’t handle. I am reminded of what it says it the book of James, “Consider it pure joy, my brothers, whenever you face trials of many kinds, because you know that the testing of your faith develops perseverance. Perseverance must finish its work so that you may be mature and complete, not lacking anything” (James 1:2-4 NIV). If that is what it takes, then I guess I am ready. The book of Ecclesiastes is another book that is hard to understand. Solomon wrote this book at the end of his life, after he followed God for a while and then spent a good deal of time away from God. He brings a neat perspective on the idea of life. A casual reading of the book may bring up more questions than answers and that is O.K. Once again, to help us understand this book I am bowing to a higher source. The entire Bible is a unified whole. It all points to Jesus Christ. It all presents the law of God and the gospel of his love in Christ. Nevertheless, within this unity there is room for diversity. Some books are historical, others doctrinal. Some books emphasize one theme, while others stress something else. In other words, each book of the Bible has its own special emphasis. With this in mind we shall consider the outlook and purpose of Ecclesiastes. Throughout the book two important concepts occur over and over. Together they make up the combination which unlocks Solomon’s outlook on life. The first thought is summed up in the terms “meaningless” and “under the sun.” Again and again Solomon returns to the initial refrain of Ecclesiastes: “Meaningless! Meaningless!...Everything is Meaningless” (1:2). This is how he describes life “under the sun,” that is, in this world. According to Solomon, life on earth is full of trouble; and even when we find pleasure, it is fleeting and soon disappears like one’s breath on a winter day. The unbeliever sees nothing beyond the material world, or at best catches an occasional glimpse that there might be something beyond. His sights are focused on what is under the sun. The believer on the other hand, views life through the eyes of faith. From- The People’s Bible Commentary- Ecclesiastes / Song of Songs by Roland Cap Ehlke, Concordia Publishing House, p.p.4-5. It is important to remember Solomon’s point when reading this book. We have hope because we know what is beyond this world. Our hope is beyond the sun as we look to the Son—Jesus Christ himself. I don’t know about you, but I have really enjoyed reading through 2 Corinthians the past couple of weeks. This letter of Paul’s does not get the top billing like Romans, Ephesians, or even 1 Corinthians, but it has been quite an enjoyable read. I have found some connections between what we read in Job and the encouragement Paul gives to the Corinthians. “For our light and momentary troubles are achieving for us an eternal glory that far outweighs them all. So we fix our eyes not on what is seen, but on what is unseen. For what is seen is temporary, but what is unseen is eternal.” (2 Corinthians 4:17-18 NIV). Paul really spoke to me in Chapter five this week. At times I think I am nuts for doing what I do. Every week I look at my schedule and think, “What am I doing?? ?” I have so much to do as my ministry at Bethany expands, I have multiple Bible studies to write, help plan worship, visit those in the hospital, meet with various boards, not to mention spend time with my wife and kids, try to keep up with the Angels, and the list goes on. But Paul, writing through the Holy Spirit speaks directly to me, “If we are out of our mind, it is for the sake of God; if we are in our right mind, it is for you. For Christ's love compels us, because we are convinced that one died for all, and therefore all died. And he died for all, that those who live should no longer live for themselves but for him who died for them and was raised again.” (2 Corinthians 5:13-15 NIV). One big theological thing that Paul writes about in 2 Corinthians is The Ministry of Reconciliation. The fact is that we, as sinful people, are enemies of God. We do not do what he wants, and we continually fall short. But we are new creatures in Christ, “the old has gone, the new has come!” (2 Corinthians 5:17b NIV) We have been reconciled to God. The American Heritage dictionary defines reconciled as: “To reestablish a close relationship between” or “To settle or resolve”. What has been reestablished is our place in God’s kingdom. What has been settled is the problem of sin. This is a gift from God, but this is not the only gift. We are also given us the task of reconciling people to God (see 2 Cor. 5:18 ff.). We have been given the task to share the good news of reconciliation with everyone!! What an honor!! More on 2 Corinthians next week. LAW THEMES: Religious promiscuity and unfaithfulness (idolatry), like sexual promiscuity and unfaithfulness, are destructive. GOSPEL THEMES: In faithful love, God sent Christ to save the world; He grants to believers the priceless blessings of love for Him and marital love for spouses. PURPOSE: To call the nation of Judah back to God and to tell of God’s salvation through the Messiah. DATE WRITTEN: The events of chapters 1-39 occurred during Isaiah’s ministry, so they were probably written about 700 B.C. Chapters 40-66, however may have been written near the end of his life, about 681 B.C. 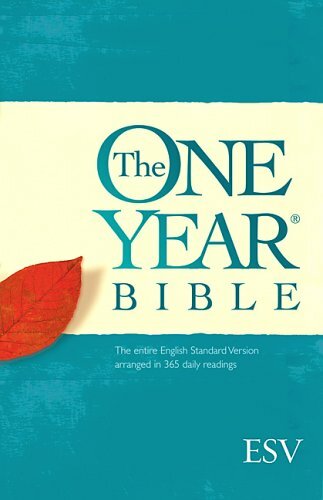 LAW THEMES: Judgment on false worship; Judgment day; selfishness; woes against Israel and the nations; defeat by Assyria and Babylon; idolatry condemned. GOSPEL THEMES: The remnant preserved; Immanuel; the Messiah’s just reign; salvation promised to Etheopia, Assyria, and the nations; the feast; mercy for Hezekiah; God’s comfort for Zion; the Lord’s Servant; Zion’s deliverance; new heavens and new earth. SPECIAL FEATURES: The book of Isaiah contains both prose and poetry and uses personification. Also, many of the prophecies in Isaiah contain predictions that foretell a soon-to-occur event and a distant future event at the same time. As we approach the end of our H2Oh! Series we need to admit that this text is unlike others we’ve waded through. These waters are not physical; this text is an aquatic analogy. Unlike other H2Oh! Stories this one does not include God’s actual working through water. Rather He (in the person of His Son) uses the metaphor of meteorological mayhem; the destructive power of flash floods and gale force winds can have upon local construction…to point Fto the only way V to survive the storms of life. Jesus isn’t focused on liquid but rather on the truth that in a fluid world, where things much bigger than yourself may come at you from out of nowhere…there is no solid ground to be found other than The Rock, Faith’s Foundation – Jesus Himself! V Resting on Christ we have a solid hope for the future! V Resting on Christ we have a solid witness in the present. If your Facebook feed is like mine, you have seen plenty of wedding pictures. Some are of newlyweds and others are snapshots in time of celebrations from years ago. If you don’t do Facebook, I know that you have been to your share of weddings in the summer time or perhaps you have celebrated during this time with the one you love. Granted, many people get married at other times of the year, but now is the busy season. It was not yet the busy season for Jesus, His ministry had just begun, He had called a few disciples to follow Him, and He finds Himself as a guest at a wedding. Wedding celebrations in Jesus’ day were not just four hours in a hotel ballroom, with a DJ, a bartender and some wait staff, but were weeklong affairs that involved many meals, much revelry, and required lots of help. We don’t know the name of the bride and groom, we don’t know how many were in attendance, we really don’t even know how long the wedding celebration has gone on when Jesus arrives, but none of that is really important. The crowd is thirsty, the wine will soon run out and Mary, who appears to be one of the volunteers helping out with the party tells Jesus about the problem in a clear and straightforward manner, “They’re out of wine” (John 2:3b). What did Mary expect? She could have collected donations, and sent the other helpers into town on a wine run. She could have gone to the person in charge with the problem, but she didn’t. This is more than an ordinary appeal for help. She knew that Jesus was the Messiah, the Promised One from God, whose birth was celebrated by angels, and who was worshiped by shepherds. Was she expecting the extraordinary? She states the difficulty and then humbly leaves all else to Jesus. The crowd was thirsty, the bride and groom would soon be ridiculed if the wine is gone. Mary wanted to fill an immediate need and avoid embarrassment of the bride and groom. Jesus had come to fill a more important need and to avoid continued separation from His fallen children. Many struggle with Jesus’ response. Was He being defiant? Was Mary’s request inappropriate? Another way to translate Jesus’ words would be, “What is that to me and you?” The issue at hand was not about social status but eternal salvation. John will tell us at the end of this account that this was the first of His miracles. The word John uses here could also be translated as signs. Signs point beyond themselves to something they accredit or attest. This sign was not done to save an unnamed couple from public embarrassment, but was done to point to One who would be made a public spectacle and who took on the embarrassment of sin as He hung upon the cross. That would be His time; that is why He came. Once again water takes center stage within the pages of Scripture. We have seen it over the past few weeks here in worship. Water is necessary for life. Noah and his family were saved through water. The people of Israel walked through the water and were saved from Pharaoh. In baptism, water and the Word has washed away our own sins and claimed us as a child of the king. This was not just a little bit of wine. Depending on your understanding of what kind of stone water jars Jesus is referring to; we are looking at the equivalent of somewhere between 500 and 800 bottles of wine. This should be more than enough for the continued celebration and it comes at just the right time. The amount is one thing, but the quality is another. This was no two buck chuck. This was high quality fermented fruit of the vine. We are a thirsty crowd. We may desire to hunger and thirst for righteousness, but in reality we drink deeply from the contaminated vessels of this world. We get drunk on our own power or position. We are poisoned on the ideas of profit and pleasure. We are destined for destruction. Our sin is great and we are in need of living water. But Jesus is in the business of changing things. He can change our desire for destruction and put us back on solid ground. In Christ we can drink from the living water found in His Word, which came to us at the fount, and is lavishly poured out on us in His house. His grace comes to us here, as we are gathered to hear His word, witness His words, and partake in His holy supper. By His word we are changed from something ordinary to something extraordinary. He provides everything we need for this body and life. His time would come on the cross where He took your selfishness and your shortcomings, your suffering and your sadness, and He washed them away. In Him you are forgiven. 1. Jesus displays impeccable timing. His timing is perfect. While His time was yet to come, He gave a sign of what to take place just a few years later at the cross. Our text for today point to that event even as Jesus provides for a wedding feast. 2. Jesus provides limitless grace. The wine provided that day was more than was needed. Jesus’ grace is more than enough for whatever you are going through. It will cover anything you have done. I know many of you have heard this before, but I’ll say it again, there is nothing you can do that will make God love you anymore, and there is nothing you have done that will make him love you any less. His grace is more than sufficient to cover your sins and bring you eternal life. In Him you are changed. May this, the first sign that Jesus did in Cana in Galilee do what it did for the disciples gathered there with Jesus, point you to the Savior, strengthen your faith and help you see the love and limitless grace that Jesus has for you!